STAR TREK: HORIZON Review | Warped Factor - Words in the Key of Geek. Ah fan films. With the rise of crowdfunding, affordable high quality cameras and the ability to create CGI effects on one's own computer (or to find someone else who could do it) the last decade or so has seen the rise of this genre of fan works. Perhaps the most notable franchise to have seen this proliferation is Star Trek which was essentially being kept alive by fan films after Enterprise finished its TV run and in-between entries in the rebooted film series. While things like New Voyages and indeed Star Trek Continues have been doing excellent recreations and pastiches of the Original Series, they seemed to really be going where that series had gone before, though they got better over time. What I suppose I really craved as a life long Trekkie was for the Trek universe to be expanded upon, not just recreated in all of its original glory. Hence why I found Star Trek: Horizon so intriguing when I stumbled across it again recently, having first heard of it some months ago. I was pleasantly surprised by what I saw. Horizon is set during the Romulan War, a much talked about piece of Trek's history that has never been explored on-screen. 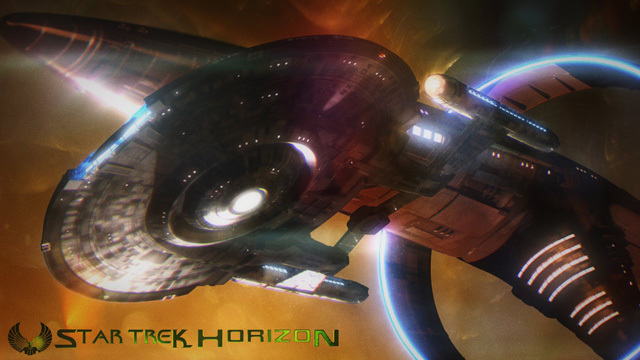 Set not long after the TV series Enterprise finished, the fan film focuses on the NX-01's sister ship the Discovery in the midst of that conflict. The ship and her crew led by Captain Hawke, after surviving a battle in the film's opening minutes, are sent on a mission to take out a new Romulan weapon that could turn the tide of the war. Their mission leads the crew, which also includes a Romulan defector, to a bigger threat to the Coalition of Planets and the future of Earth. 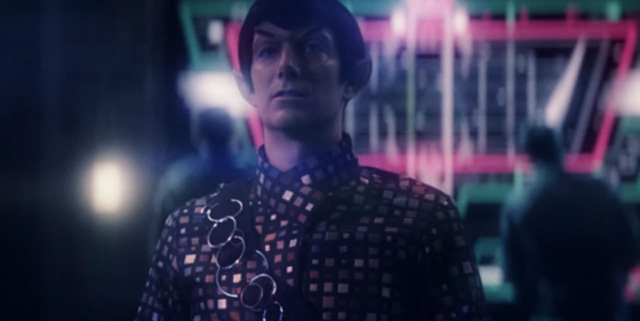 Being a fan of Enterprise (that ill-regarded prequel series filled with great ideas but which took four years to find its feet and lost its audience along the way), the idea of a fan film set during its era and the Romulan War appealed to me. Tommy Kraft, the film's writer/director, has created a love letter to that series in every way possible, with this movie length spin-off of Enterprise dealing not just with the Romulan War but tying up a lose end or two from that series as well. If you're aware of Enterprise and some of its bigger plotlines, there's plenty to enjoy here as Kraft creates a compelling story. The dialogue, which can often be tricky for fan films, is good most of the time (though a couple of times it gets a bit too involved in technobabble). It's a prime example of good fan film writing. Horizon is also visually impressive, something even more surprising given its budget of about $22,000. It's a mix between Enterprise and the reboot films with the costumes and sets of the former being central to the film (and recreated spectacularly) while the cinematography and overall visual style of Horizon draw heavily from the reboots. Indeed there's a sequence involving Hawke and the film's eventual villain that owes more than a small debt to the mind-meld sequence form J.J Abrams 2009 reboot. That's not all though. Where Horizon is most impressive is in its effects. The ship exteriors and the battle sequences are top-notch and might well be the best I've seen in any of the fan productions I've watched to date, with the film's opening fifteen to twenty minutes especially being a visual feast. Where the visuals are perhaps less impressive is in the sometimes over-reliance on green screen, which can become obvious at times as the film was shot almost entirely that way. That being said, those moments are few and far between and the film's visuals are amongst its strongest selling points. Indeed, Horizon is even more impressive by that small budget. It's an impressive effort which puts many bigger budgeted films to shame. For a fraction of the budget of a SyFy original, the film looks and flows far better than many of those films or their straight to DVD counterparts. It's a sign of what low-budget genre films can do and I find myself hoping that Kraft goes on to future projects.